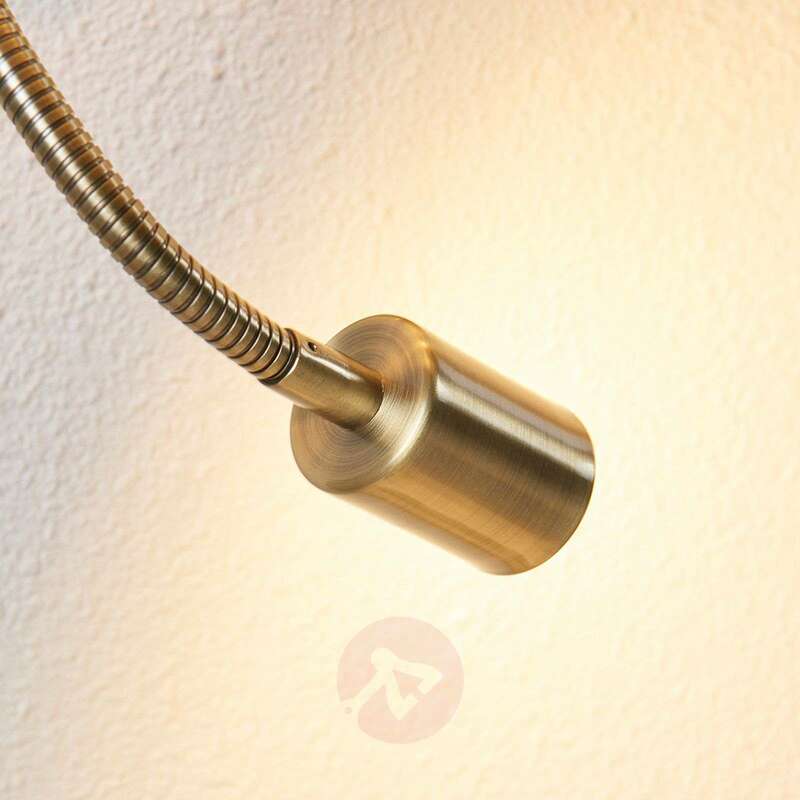 Florens's body is made of metal in an attractive brass colour which gives the light a more classic appearance. It is complemented by the white lampshade, which dominates the appearance of the wall light and provides a pleasant cosy light. 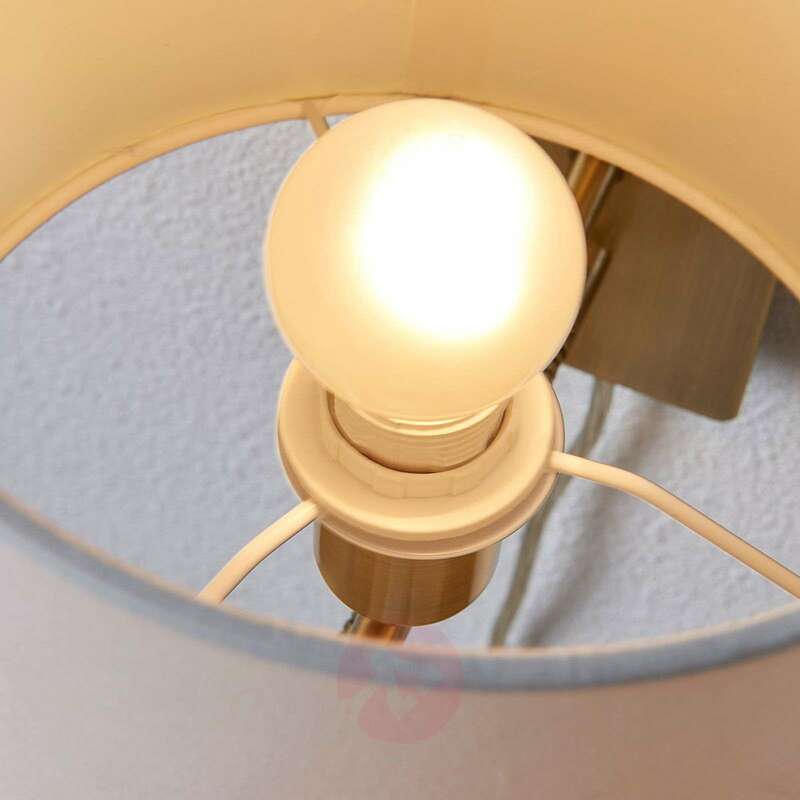 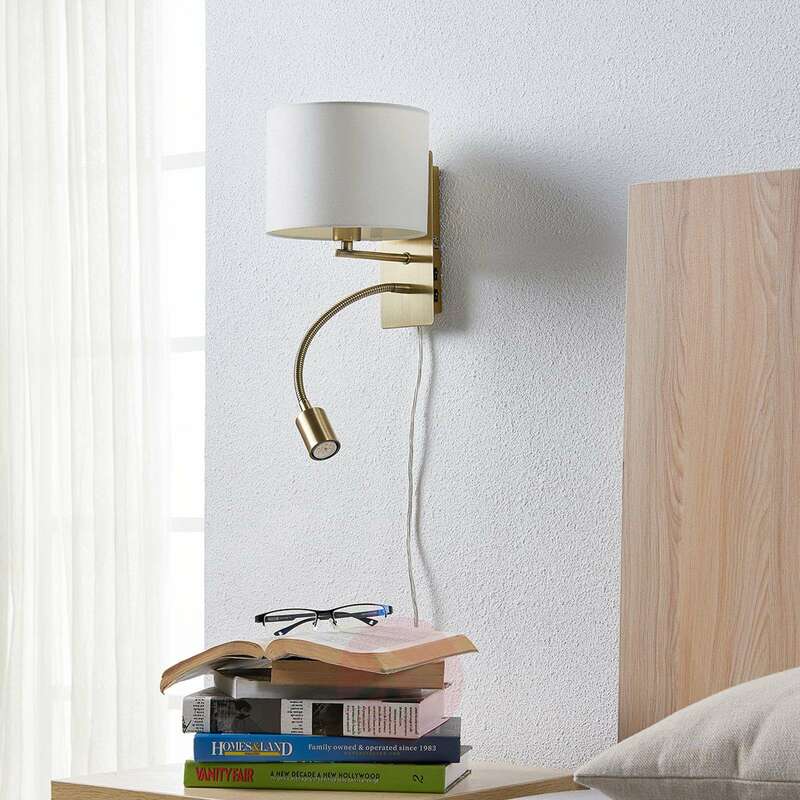 However attractive it is, a diffuse relaxing light does not suit everyone at all times as you might want to browse through the exciting reading material you have just picked up and this requires a targeted, bright light. 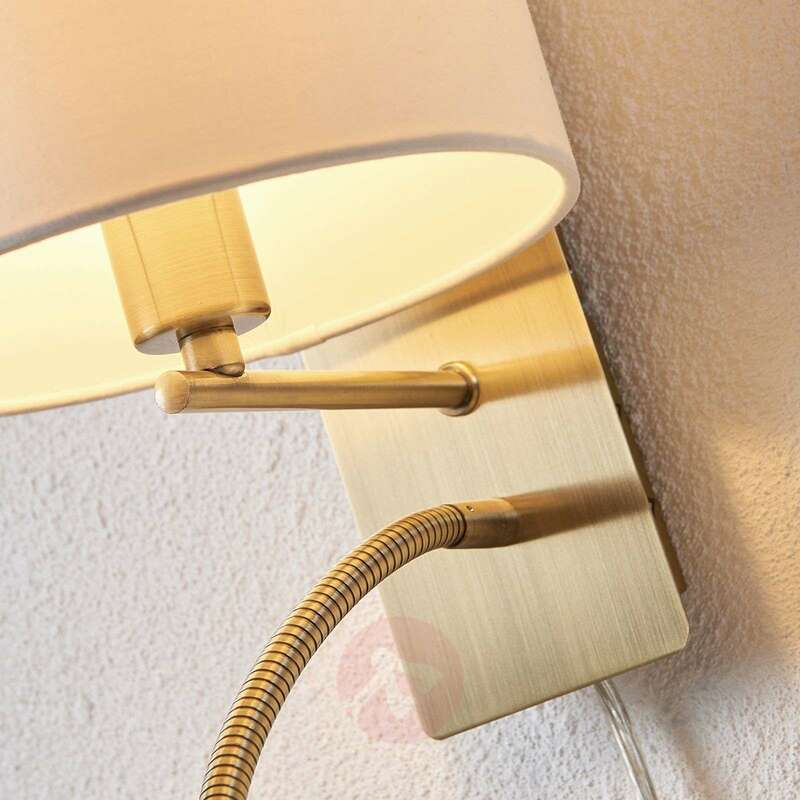 This is not a problem for Florens, which comes with a flexible LED arm. 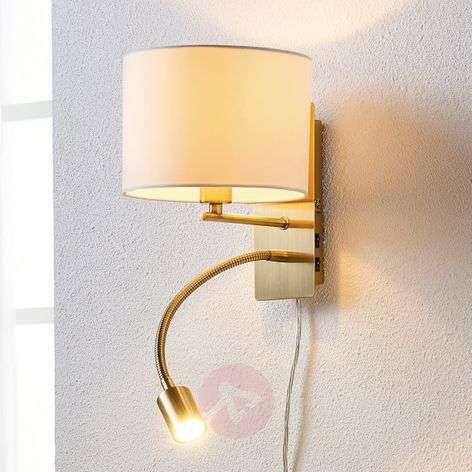 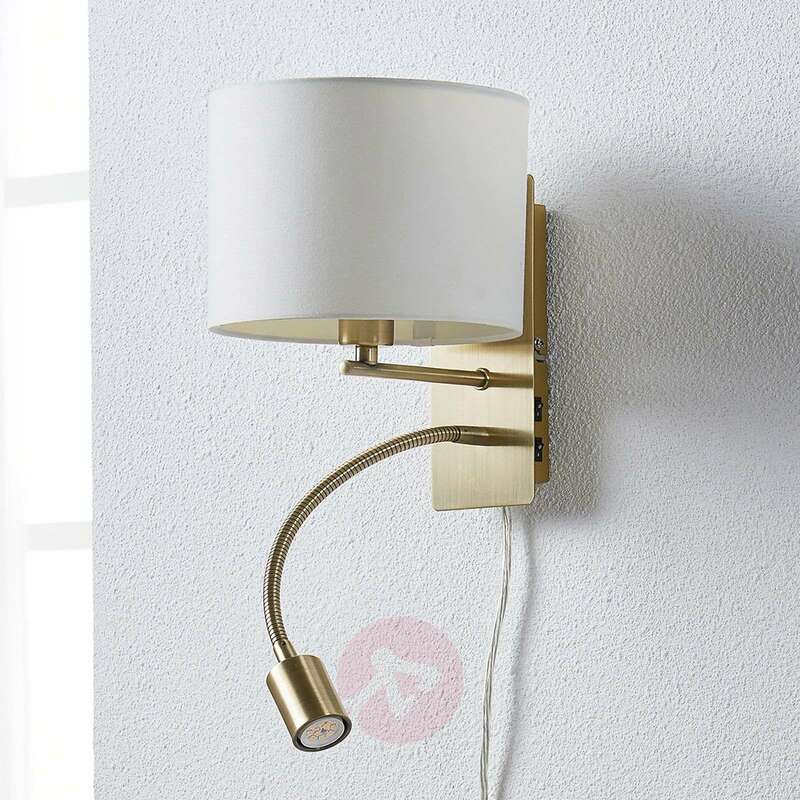 This can be used as a reading light, which is particularly useful if you install the fabric wall lamp behind the bed or near to the sofa. 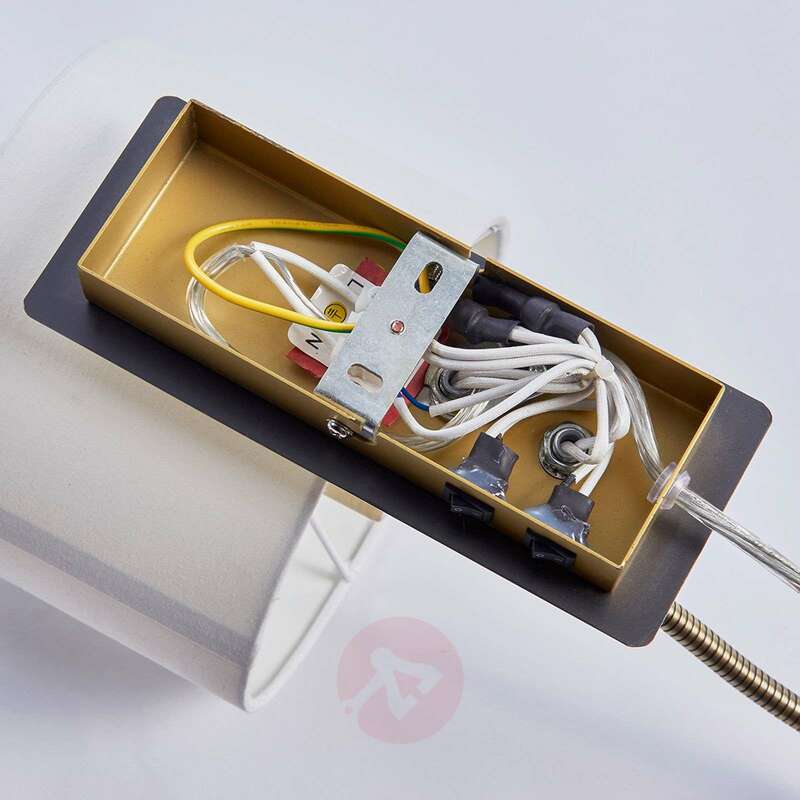 The two light sources can be switched on and off quickly and easily via the integrated switches. 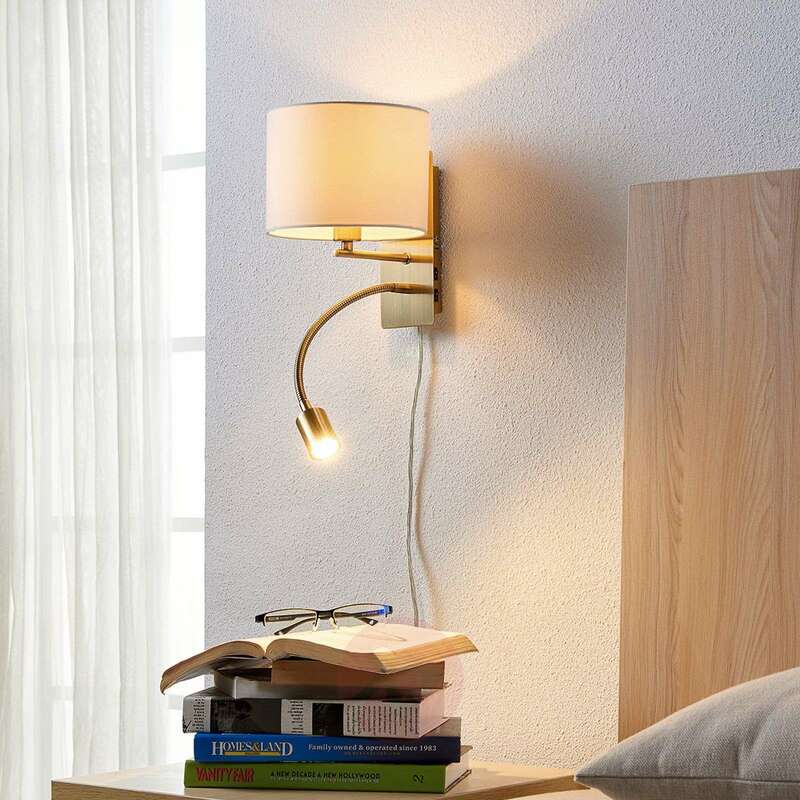 The Florens fabric wall light comes with a 1.8 m long power cable with plug.